I have been weaving furiously to prepare for the Midwest Fiber Conference, currently underway at the University of St. Thomas in St. Paul, MN. I am going to be sharing a booth with Marcella Edmund, a fiber and pin loom artist! 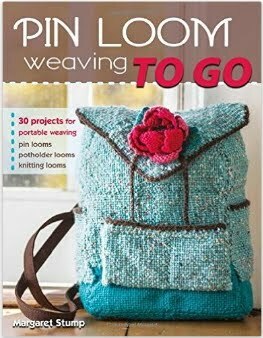 While this may be great for me, I have totally abandoned the many pin loom weavers out there with whom I have been corresponding. So this is not an excuse, but is an explanation of where I have been and a promise to return soon with new ideas and new posts. ps. 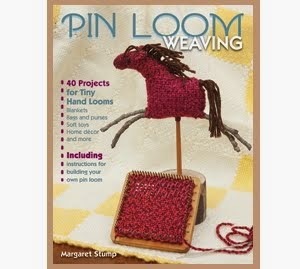 This is one of the items, along with a bunch of books to sell, that I am taking up to the Midwest Weaver's Conference.